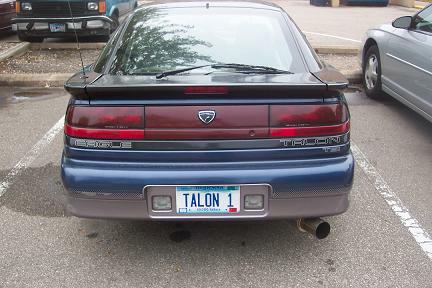 1991 AWD Eagle Talon TSI NOW FOR SALE! This is a 5 speed manual transmition with 150,000 miles on it. I purchased this car from its origional owner, he was a 70 year old man who rarely drove it any more, so he decided to sell it. All of the mods on this car were profesionally installed at a local race shop near Road America in Elkhart, Wi. (http://www.roadamerica.com/2005/index.htm)Everything on the car works, including the air conditioning, heat, and ABS. She is in GREAT running shape and is a VERY quick, fun car. Click the link at the bottom for pictures.